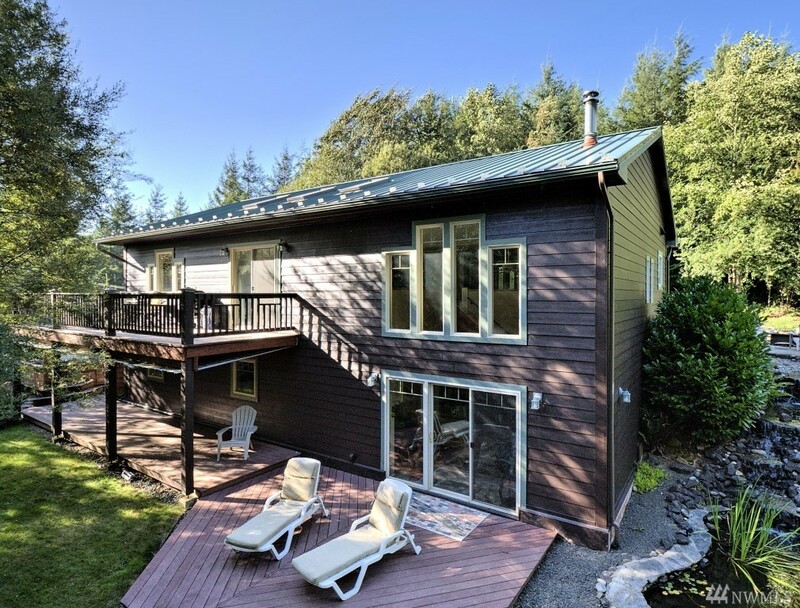 Amazing property with 3+ acres of secluded hilltop! The main house has 3 bdms, an office, a formal dining area that opens to the upper deck & a living room that is 2 stories high with a wall of glass opening to lower patio. The private master suite has an awesome walk in shower. The kitchen is open to the rest of the house to keep the cook in "the mix". Beautifully landscaped with a stream & pond! 1 bdrm apartment over the garage is very cool. Big shop, greenhouse, hen house & a lot of cool!